Our Interior Cleaner is free from colors or dyes so it is safe to use on just about every interior surface. As with all car interior cleaners, please test a hidden area of the vehicle for color fastness before applying Interior Cleaner to an entire section. The formula is also water based and non-foaming and will not leave a sticky residue. 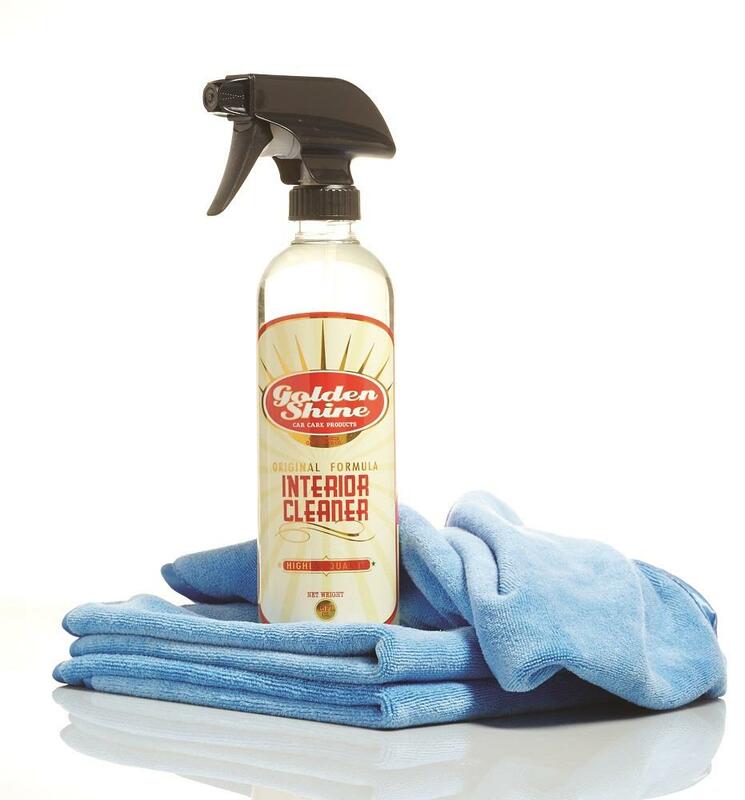 Golden Shine Car Interior Cleaner is a simple spray-on/wipe-off formula. To use, just spray some Interior Cleaner on a Golden Shine Ultra-Fine Interior Microfiber towel or applicator and massage into the soiled area. Flip or rotate the towels and buff to a shine. Heavier soil or staining may require multiple applications or agitation with an interior brush.